Do you want to have a say in what happens to you and your assets as you age? Find out how an Elder Law Attorney can help you control what happens later in life with estate and later life plans. Who Needs An Estate and/or Elder Law Plan? Why Should I Do It Now? Many people believe estate and later life plans—which include wills, trusts, powers of attorney, and so on—are only for the rich. This is simply not true. There are several reasons why you need an estate and elder plan, regardless of your income or your net worth. Planning for Aging and Incapacity also protects you from abuse and exploitation, allowing you to designate those you trust to help make decisions. At Fraulob – Brown, we ensure that your wishes and autonomy are respected when you and your family faces these most personal legal planning needs. If you could imagine the worst possible legacy to leave your spouse, children and grandchildren after your death, it would invariably include the court system. Most people who have ever stepped into a courthouse come away less enthusiastic about returning there: they find the process slow, cumbersome, and frustrating. One major reason to get your estate plan in place now is to avoid a court-supervised process known as probate. An estate must be probated when a person dies leaving more than $150,000 in probatable assets, which include any property—real or personal—that have not already been devised. This means that the property stays in the decedent’s name after death with no named beneficiary. One asset that usually does not go through probate, because a beneficiary is already named, is life insurance. However, most property—think of your house, cars, bank accounts, the heirloom china set—is in your possession, and you hold legal title to it. The court will be left to oversee the distribution of your assets and paying off any debts of the estate. It is costly, burdensome, and lengthy—usually thousands of dollars, and months, or even years, in court. By executing a last will and testament (will for short), you can leave your property to the person or persons you choose. However, this is not enough to avoid probate. Essentially, your wishes are made known through your will, but another step is required to keep your matters out of court. What you need is a trust, which is a modern invention of the law that creates a fictitious “person” that holds your assets because you put them there. It doesn’t change your ability to buy and sell, trade or make income off your property, it merely transfers ownership from you as a person to you as Trustee of your living trust. It’s a clever way of ensuring that after you die, a “living” entity—the trust—owns your property and thus can avoid probate, because technically, you are not the owner of your property – your trust is. You create a trust, and then you create a deed that transfers your house into the trust. You notify the bank that your accounts should be held by the trust. You keep living in the house and paying bills with your bank accounts, but the trust owns your assets and you are the “operator” (Trustee) of the trust. Then, when you die, your house and bank accounts (and any other property you put into the trust) pass to your beneficiaries without court involvement, if your trust is set up correctly. There is a bit more to it than this, so please call (916) 442-5835 to set up a phone appointment with an attorney at Fraulob – Brown. We will be happy to answer your questions. As our community ages, more and more people realize the need to plan for again and incapacity. Too often, documents allowing others to act on an elder’s behalf are made without careful consideration and legal counsel. At Fraulob – Brown, we believe that none of these decisions should be made without consideration of our client’s values, making sure that whomever is designated to make decisions when our clients are no longer able to for themselves, is capable and understands and honors our client’s personal wishes. Having an estate plan in place now is the only way to ensure that your loved ones are not guessing as to your wishes for your health care, your assets, funeral and burial/cremation arrangements, and other important decisions. Advance health care directives, also known as Powers of Attorney for Health Care, put decision-making power into the hands of someone you trust (the agent) in the event you can no longer act for yourself. These documents can be written to give immediate power to the agent, or the powers lie dormant until you choose to hand over the power or a doctor determines you cannot act for yourself. 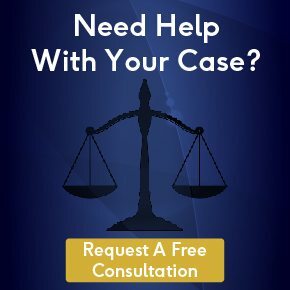 Please call (916) 442-5835 to discuss the details with one of our attorneys. In addition to health care planning and decision-making, think of the financial decisions that need to be made. A Power of Attorney for Asset Management gives power to someone you trust, to make decisions regarding your property in the event you cannot act for yourself. Keep in mind that these powers are effective only while you are alive but cannot act due to your incapacity, or if you voluntarily relinquish your powers. The Power of Attorney can be held by the same person who will act as your Trustee. Call (916) 442-5835 to see if this document is right for your estate or elder law plan. Your estate plan will contain the necessary provisions for your end-of-life care, how your property will be divided, and who will act for you should you lose the ability to do so. Making these decisions now will give you great peace of mind, because you can rest easy knowing that whatever happens, you are prepared. How many times have you heard about fights erupting in otherwise peaceful families after Mom or Dad passes away or experiences dementia? It is sad but true: when a loved one dies or experiences diminished capacity without having made his or her wishes known, conflicts arise. Emotions run high. But when estate and elder law planning documents are in place, much of the confusion and disagreement is replaced with order, structure, and harmony. Do yourself and your loved ones a favor, and get prepared. The time to act is now. Call Fraulob – Brown at (916) 442-5835 today to speak with an attorney about your working family estate plan. You’ll be glad you did.